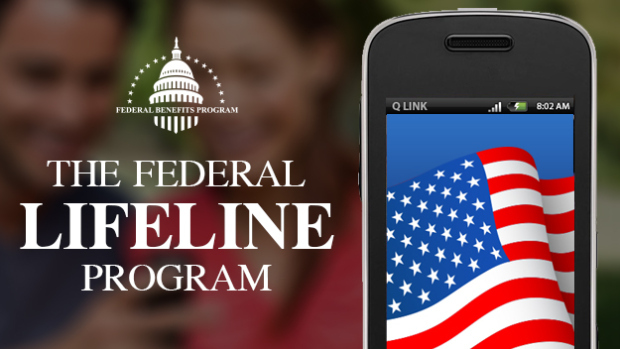 The Lifeline Assistance Program is a government benefit program that provides a free cell phone with free monthly minutes, data, and texting to people struggling financially. This site will teach you how to get a free Government Cell Phone and Free Service. Although our economy is slowly improving in 2015, there are still a lot of hard working Americans out there struggling to make ends meet. To make things worse, the cost of cell phone plans has been rising every year and the average cell phone bill is now over $150 a month. A cell phone is a basic necessity in order to apply for jobs, get medical assistance and to keep in touch with loved ones, however the high cost is making it very difficult for many people to afford it. 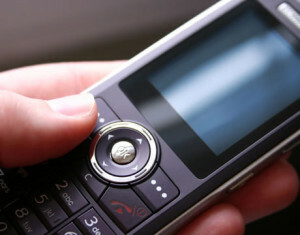 The Lifeline Assistance Program (commonly referred to as “free government cell phones” or “Obama phones”) makes it possible for people with financial difficulties to have access to this important basic technology. Thanks to this government-backed program, people who are struggling financially can receive a smart cell phone and free monthly minutes, data, and texting – at no charge to them! There is no credit check, no monthly fees, no contracts and it takes only a few minutes to sign up. Millions of qualified people are already enjoying their very own free government cell phone and service across America but there are still tens of millions of other people who are eligible for a free cell phone but do not yet have one. This website is for those people who are considering applying to this popular program. Whether you are a single mother struggling to make ends meet or a senior citizen with low income, we hope to answer any questions you may have so that you can start taking advantage of this free government benefit. Ready to apply for your free government cell phone and free service? Just click on the red button below to start the easy signup process right now! This website is not affiliated with the Lifeline Assistance Program, the Federal Communications Commission (FCC), or the government. Freegovernmentcellphone.net is dedicated to providing you with accurate and up-to-date information about the Lifeline Assistance Program. We are a resource for you in case you are looking for information about the program, or wanting to know how to get your very own free cell phone. We discuss approved national Lifeline service providers, explain the benefits, show you how to apply, and discuss Frequently Asked Questions about the program. Interested in applying for Lifeline and getting a free phone with free minutes? Discover more pages in our website, or read more below. You can also enter your information in the top-right box titled “Lifeline Enrollment” and click on the “Get Your Free Phone” button now. Qualify by having low income – If you do not participate in a government assistance program, you may still be eligible for a Lifeline phone and service if you have low income. You may qualify if your total household income is at or below your state’s Federal Poverty Guidelines (varies by state). In order to get the best possible cell phone and service, you must research and decide which Lifeline service provider is right for you. You can find more information about Lifeline service providers by visiting their webpage. On any of the websites, you will be able to see which states they service, read about their different cell phone plans, and learn how to contact them if you would like to apply for their service. We highly advise that you select the right Lifeline service provider for you and your lifestyle, for example if you are disabled and need a specific kind of phone. Since the Lifeline service providers vary by state, different companies may offer different plans and cell phones. Take the time to look through the different providers before selecting one. After you have selected your chosen Lifeline government cell phone provider, you can look at more information on their website to learn about their enrollment process. You can also call them, or mail in a paper application. You can also find out more about Lifeline by entering your information in the top-right box labeled “Lifeline Enrollment” and clicking on the red button now. After you have selected your Lifeline provider, you can apply right away. Enroll by visiting their website and filling out an application online, calling them and applying over the phone, or mailing in a paper application. Either way you choose to enroll, the process is fast and easy. A quick tip for you: enrolling online is usually the fastest and easiest option. You can submit any required proof documentation right on the website. Doing this will allow you to get your free phone as soon as possible. Also, if you qualify by participating in a government assistance program (which is the majority of applicants), make sure you select that you are enrolling by government assistance instead of low income. Qualifying by low income requires you to send in tax or income documents that prove your low income eligibility, while qualifying by government assistance just requires you to submit a copy of a proof document. Either way you qualify, the Lifeline service provider will guide you along with what proof documentation is needed in order to get you qualified and send your free cell phone right away. Once you sign up for the Lifeline free government assistance program and submit your proof documents, you can simply wait for your free phone to come to you! If there are any complications, your Lifeline service provider will contact you and help to get you approved. Remember one thing: Lifeline providers have varying approval processes. The approval process can take them several days to several weeks, depending on your state and other specific factors. Make sure you wait for your cell phone and service with a hint of patience. Freegovernmentcellphone.net is not partnered with any Lifeline provider, so unfortunately we cannot help with the application process. 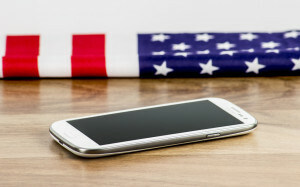 If you have any questions on whether you were approved for the free government cell phone program, please contact the provider you used to sign up or check out the USAC website. (i) the service is a Lifeline service; (ii) Lifeline is a government assistance program; (iii) the service may not be transferred to someone else; (iv) consumers must meet certain eligibility requirements before enrolling in the Lifeline program; (v) the Lifeline program permits only one Lifeline discount per household; (vi) documentation is necessary for enrollment; and (vii) Q LINK is the provider of the services.